David Llewelyn Wark "D.W." Griffith (January 22, 1875 – July 23, 1948) was an American film director. He is widely credited with being the first to realize and develop the potential of film as an extended dramatic medium, and with making the first feature-length movie. Critic James Agee said of him, "To watch his work is like being witness to the beginning of melody, or the first conscious use of the lever or the wheel; the emergence, coordination, and first eloquence of language; the birth of an art: And to realize that this is all the work of one man." Legendary actress Lillian Gish called Griffith "the father of film." At the height of his prominence, Griffith reached a worldwide audience; his films were screened for people low and high, from the urban working-class to presidents at the White House. His films became part of the making of history and showed the power of movies for creating social change. More than anyone else of the silent era, Griffith understood, unleashed, and exploited the potential of film as an expressive medium. Griffith is best known as the director of the controversial 1915 film The Birth of a Nation, and that film is generally considered to be the first feature-length movie. Griffith was born in La Grange, Kentucky. His father was Jacob "Roaring Jake" Griffith, a Confederate Army colonel and Civil War hero. He began his career as a hopeful playwright but met with little success. He then became an actor. Finding his way into the motion picture business, he soon began to direct a huge body of work. In politics, Griffith was a Republican. He supported Warren G. Harding, Calvin Coolidge, and Herbert Hoover. Between 1908 and 1913 (the years he directed for the Biograph Company), Griffith produced 450 short films, an enormous number even for this period. This work enabled him to experiment with cross-cutting, camera movement, close-ups, and other methods of spatial and temporal manipulation. On Griffith's first trip to California, he and his company discovered a little village in which to film their movies. This place was known as Hollywood. With this, Biograph was the first company to shoot a movie in Hollywood: In Old California (1910). Influenced by an Italian feature film, Cabiria (1914—this film is credited with being the first to use a dolly-track system), Griffith was convinced that feature films could be financially viable. He produced and directed the Biograph feature film Judith of Bethulia, one of the earliest feature films to be produced in the United States. However, Biograph believed that longer features were not viable. According to actress Lillian Gish, "[Biograph] thought that a movie that long would hurt [the audience's] eyes." Because of this, and the film's budget overrun (it cost U.S. $30,000 to produce), Griffith left Biograph and took his whole stock company of actors with him. His new production company became an autonomous production unit partner in Triangle Pictures Corporation with Keystone Studios and Thomas Ince. D.W. Griffith on a movie set with actor Henry Walthall and others. Then, through David W. Griffith Corp., he produced The Clansman (1915), which would later be known as The Birth of a Nation. Set during and after the American Civil War, the film was released on February 8, 1915. It is important in film history for its innovative technical achievements and also for its controversial promotion of white supremacism and glorification of the Ku Klux Klan. The Birth of a Nation is based on former clergyman Thomas Dixon's The Clansman, a novel and play. Griffith promised Dixon $10,000 for the rights, but could come up with only $2500, so he gave Dixon 25 percent of the film, and—because the film was so financially successful—this made Dixon very rich. Birth of a Nation is considered important, even seminal, by film historians as the first feature length American film (previously, films had been less than one hour long) and as making many innovations in cinematic techniques. It was enormously popular, breaking box office records, but aroused controversy in the way it expressed the racist views held by many in the era (it depicts Southern pre-Civil War black slavery as benign, and the Ku Klux Klan as a band of heroes restoring order to a post-Reconstruction black-ruled South). Although these were the standard opinions of the majority of American historians of the day (and indeed, long afterwards, E.M. Coulter's The South During Reconstruction, published in 1947, would repeat many of these views), the National Association for the Advancement of Colored People campaigned against the film, but was unsuccessful in suppressing it, although it was banned in numerous cities. It would go on to become the most successful box office attraction of its time. "They lost track of the money it made," Lillian Gish once remarked in a Kevin Brownlow interview. Among the people who profited by the film was Louis B. Mayer, who bought the rights to distribute The Birth of a Nation in New England. With the money he made, he was able to begin his career as a producer that culminated in the creation of Metro-Goldwyn-Mayer studios. Margaret Mitchell, who wrote Gone with the Wind, was also inspired by Griffith's Civil War epic. The next year (1916) Griffith released Intolerance, a two-and-a-half-plus hour depiction of human intolerance throughout the millennia. It was, at least to an extent, Griffith's attempt to respond to the stinging criticism that had been brought against Birth of a Nation. This film, too, advanced the art of movie production through its use of large sets, elaborate costumes, and epic-sized scenes and scenery, such as Belthshazzar's feast; some commentators have gone so far as to call it the greatest movie ever made. It did not, however, do all that well at the box office, and Griffith would never be able to do such a production again. The production partnership was dissolved in 1917, so Griffith went to Artcraft (part of Paramount), then to First National (1919-1920). At the same time, he founded United Artists, together with Charlie Chaplin, Mary Pickford, and Douglas Fairbanks. Though United Artists survived as a company, Griffith's association with it was short-lived, and while some of his later films did well at the box office, commercial success often eluded him. Features from this period include Broken Blossoms (1919), Way Down East (1920), Orphans of the Storm (1921), and America (1924). Griffith made only two sound films, Abraham Lincoln (1930) and The Struggle (1931). Neither was successful, and he never made another film. For the last seventeen years of his life Griffith lived more-or-less in oblivion as a virtual hermit in Los Angeles. He died of cerebral hemorrhage in 1948, on his way to a Hollywood hospital from the Knickerbocker Hotel, where he had been living alone. D. W. Griffith has been called the father of film grammar. Few scholars still hold that his "innovations" really began with him, but Griffith was a key figure in establishing the set of codes that have become the universal backbone of film language. He was particularly influential in popularizing "cross-cutting"—using film editing to alternate between different events occurring at the same time—in order to build suspense. He still used many elements from the "primitive" style of movie-making that predated classical Hollywood's continuity system, such as frontal staging, exaggerated gestures, minimal camera movement, and an absence of point of view shots. Some claim, too, that he "invented" the close-up shot. Credit for Griffith's cinematic innovations must be shared with his cameraman of many years, Billy Bitzer. In addition, he credited the legendary silent star Lillian Gish, who appeared in several of his films, with creating a new style of acting for the cinema. Griffith was a highly controversial figure. Immensely popular at the time of its release, his film, The Birth of a Nation (1915), based on the novel and play The Clansman by Thomas W. Dixon, was a white supremacist interpretation of history, and the National Association for the Advancement of Colored People attempted to have it banned. After that effort failed, they attempted to have some of the film's more disagreeable scenes censored. The scenes in question depict derogatory stereotypes of blacks, and white members of the Ku Klux Klan killing blacks to protect white women. Griffith did also say that he made the film with the intention to show how the Scalawags and Carpetbaggers began to rule as tyrants with President Lincoln out of the picture. Birth of a Nation and Griffith's work on it presents film historians, scholars, and critics with the same problem presented by Leni Riefenstahl's Triumph of the Will. Both are great films in service of an evil idea or movement—in Riefenstahl's case it was Adolf Hitler and the Nazis; in Griffith's case it was racism and the Ku Klux Klan. (Those who hold that Communism was and is evil have the same problem with Sergei Eisenstein's film, Battleship Potemkin.) Both Triumph of the Will and Birth of a Nation were enormously successful and influential in their stylistic, cinematic, and artistic innovations and achievements—in Griffith's case he was making many of the the rules and conventions for what it is possible to show and do in film. Both of the films won awards, and Griffith's film was the highest-grossing film for many years. But both have also been denounced as being bad films because of what they depicted and the evil ideology they promoted. If the view that there must be a consonance between aesthetic merit or goodness and ethical merit or goodness were to be accepted—and some people do hold that view—then that would lead to the conclusion that these were bad films. But the view that aesthetic and ethical goodness must go together is surely mistaken; there are any number of works of great aesthetic and artistic achievement and merit in service of an evil idea or evil movement. So these films should be shown, but they should be shown not to glorify what they depict, but as occasions to teach and learn about evil and about the paradox and problem that great art sometimes promotes an evil end. Griffith himself had come out of Kentucky and was the son of a Civil War soldier who had fought for the South. Although he himself harbored racist views and sentiments, he was not aware of his own failings—in that he was the same as nearly all white people of his time. Even president Wilson was quoted as praising the film—although whether this was true of Wilson or not, or was merely the invention of Dixon as a method of promoting the film, is controversial and undecided. Griffith did also try to denounce prejudice in his next film Intolerance, by showing how slavery was wrong because the Babylonians tried to make some slaves out of their people who didn't believe in some of the main traditional gods, and by showing many other cases of prejudice, mistreatment, and intolerance, based on people's mistaken understandings. According to Lillian Gish in her autobiography, The Movies, Mr. Griffith and Me, Griffith towards the end of his life expressed an interest in making a film that would be a tribute to African-Americans, but he never got the chance to make that film. Seen today, almost a century after they were made, Griffith's films look stilted, sometimes wooden, with hokey acting. They will bore most viewers. But in their day they were making the rules and conventions for what film could show and do; they were the cutting edge of cinematic development. Even though Birth of a nation has been denounced and vilified as glorifying racism and the Ku Klux Klan, Griffith made several other films that give sympathetic depictions of things regarded today as being good: Tolerance and interracial love. Intolerance is a long depiction and study of the brutal and grotesque ways humans have been intolerant over the millennia. Broken Blossoms depicts a tender love story—a love that could not be consummated, given the attitudes and circumstances of the day—between a white girl who is abused by her drunken father and a Chinese man. Motion picture legend Charles Chaplin called Griffith, "The teacher of us all." This sentiment was widely shared. Filmmakers as diverse as John Ford and Orson Welles have spoken of their respect for the director of Intolerance. Whether or not he actually invented new techniques in film grammar, he seems to have been among the first to understand how these techniques could be used to create an expressive language. In early shorts such as Biograph's The Musketeers of Pig Alley (1912) which was the first "Gangster film," one can see how Griffith's attention to camera placement and lighting heighten mood and tension. In making Intolerance the director opened up new possibilities for the medium, creating a form that seems to owe more to music than to traditional narrative. Griffith was honored on a 10-cent postage stamp by the United States issued May 5, 1975. In 1953, the Directors Guild of America instituted the D.W. Griffith Award, its highest honor. Its recipients included Stanley Kubrick, David Lean, John Huston, Woody Allen, Akira Kurosawa, John Ford, Ingmar Bergman, Alfred Hitchcock, and Griffith's friend Cecil B. DeMille. On 15 December, 1999, however, DGA President Jack Shea and the DGA National Board—without membership consultation (though unnecessary according to DGA's regulations)—announced that the award would be renamed the DGA Lifetime Achievement Award because Griffith's film The Birth of a Nation had "helped foster intolerable racial stereotypes." Francis Ford Coppola and Sidney Lumet, two living recipients of the award, agreed with the guild's decision. D.W. Griffith has five films preserved in the United States National Film Registry as being "culturally, historically, or aesthetically significant." These films are Lady Helen's Escapade (1909), A Corner in Wheat (1909), The Birth of a Nation (1915), Intolerance: Love's Struggle Throughout the Ages (1916), and Broken Blossoms (1919). 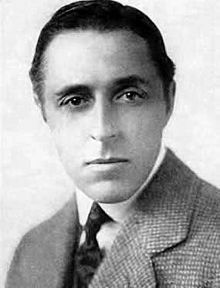 History of "D. W. Griffith"
This page was last modified on 18 November 2017, at 23:02.